Cloyster (Japanese: パルシェン “Parshen”) is a dual-type WATER and ICE Pokémon. It evolves from the WATER-type Shellder when exposed to a Water Stone. Basically, Cloyster is a big, mean oyster. Near the top of where it splits open is a throbbing weapon. Shellder (Japanese: シェルダー “Shellder” ) is a tongue-wagging scallop. The tongue of Shellder is actually a “foot” in a real brachiopod. I nicknamed a female Cloyster “Delores” after a famous “Seinfeld” episode. Jerry was dating a girl, and he could not remember her name. All he knew was that her name rhymes with the name of a female body part. I think the point is way far north here. Also, Cloyster has that mysterious “pointy thing” thing above its face … so, again … heh heh … similar to the female body part, referred to by Seinfeld. I have not named many Shellder. 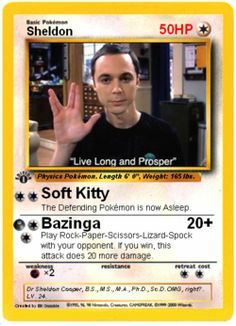 I just use “Sheldon” as in the character from “The Big Bang Theory”. I named one “ShellyLong” but I think I was not even trying. “MaryShelley” is OK for Frankenstein fans. “Me Shell” perhaps for Beatles fans. “Shell Shocked” may work for male or female. “BlahBlahBlah” is my name based on annoying tongue wagging. “Squirt” or “Squirt Me”, or some variation of that may be good, because real scallops propel themselves by squirting. Maybe you like watching that type of thing. 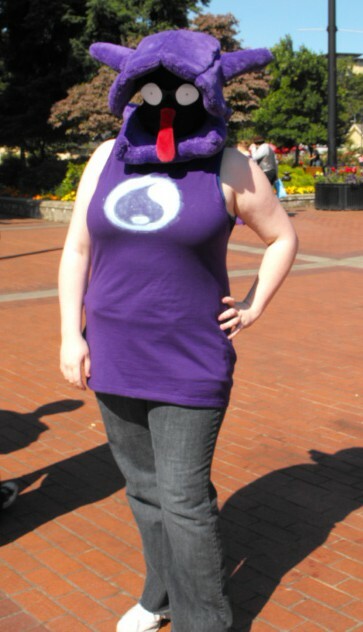 A Shellder hoping to encounter a Cloyster I’ll bet. Discussion Question: Will we be able to “dive” again in Hoenn? “Pearl” or “Black Pearl” may also be appropriate names. Don’t try “Ironclit” (a play on the nautical term “Ironclad”), as the XY name censor will not take it. You might use the name “Ama” who were Japanese pearl divers. However, the name refers to the divers not the oysters. Gather your “Dive Balls” and access your “Good Rod”! Next time you are in a coastal region, you may want to “go diving” for some Cloyster! 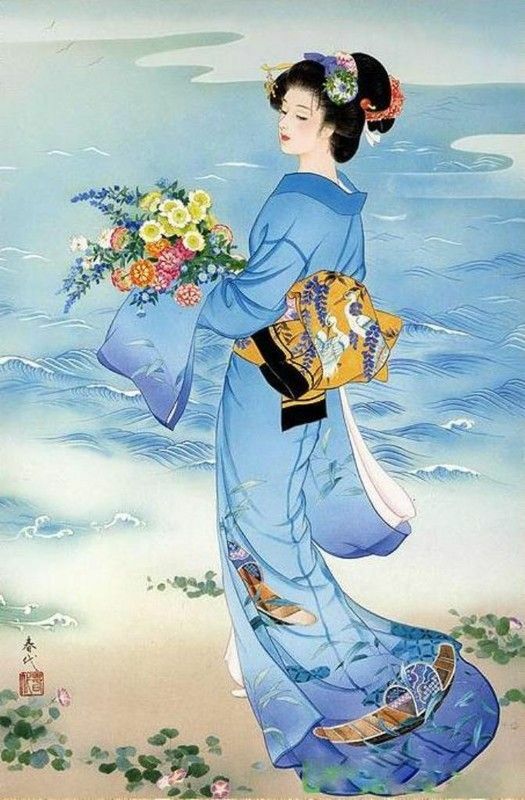 KIMONOS ON MONDAY (Week#20): The kimono art of Junichi Nakahara. 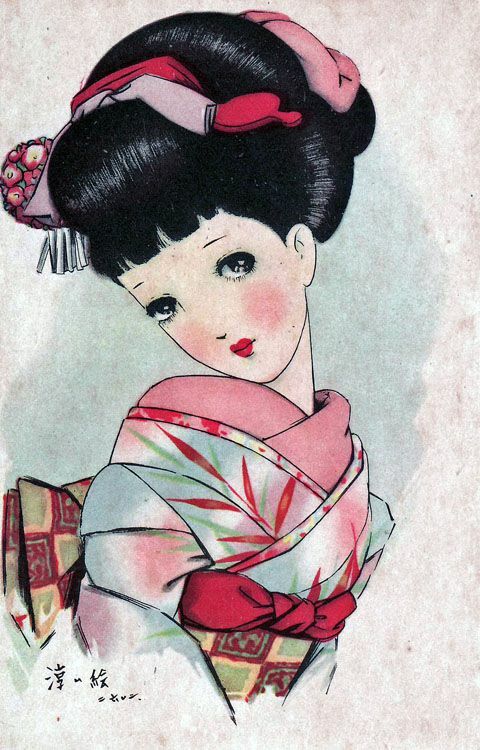 This week’s post will feature the Kimono art on postcards from Japanese artist Junichi Nakahara (1913-1988). His drawings often featured young women depicted with big eyes. Some art historians consider these illustrations a forerunner of the “anime style eyes” so often seen in modern animation and manga. KIMONOS ON MONDAY (Week #13) Kimonos on postage stamps. 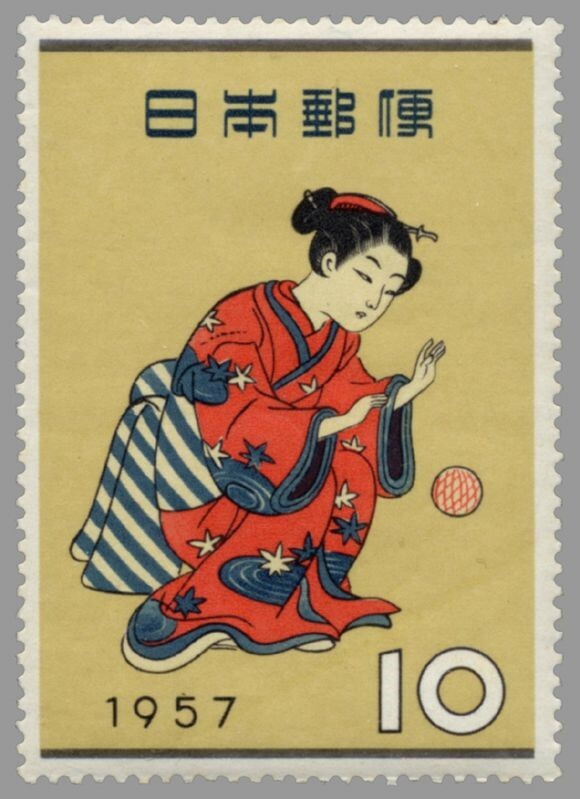 This week I will share some images of Kimonos as depicted on vintage Japanese postage stamps. See the slide show below. If someone sends you a letter and it has a Kimono stamp on it, please send me a scan! 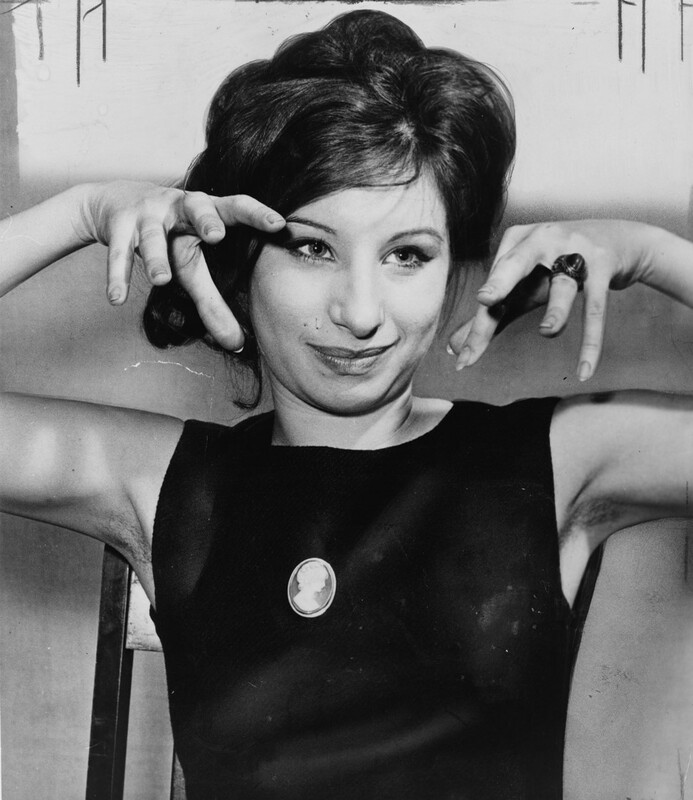 Babs doing one of her “Psychic” moves. I nicknamed a female Drowzee “Barbara” (and another one “Streisand”) after the famous American singer Barbara Streisand. Drowzee has a nose like a tapir. It is a Psychic-type that may put its opponent to sleep with its Hypnosis move, then can then devour the victim’s dreams using the “Dream Eater”move. Oddly, Drowzee cannot learn the Normal move “Sing” which also puts the target to sleep. Too bad, because that move would have been perfect for my Barbara! I might suggest naming male Drowzees “Durante” after the famous vaudevillian actor. 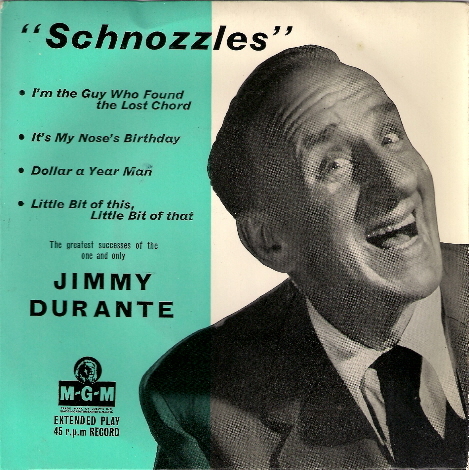 Although Jimmy Durante had a schnoz like Drowzee, the great Mr. D never put me to sleep. Drowsee also looks like its pants were dipped in chocolate … like a chocolate covered banana. 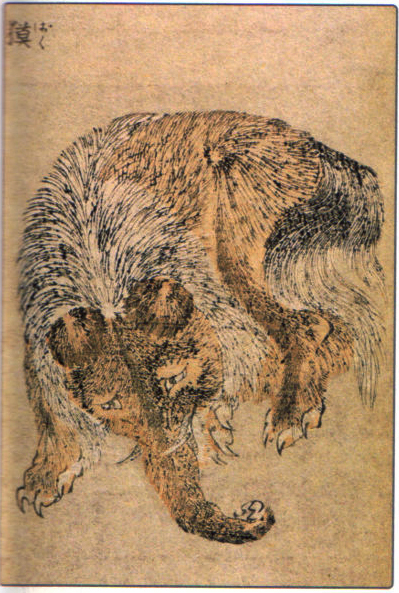 Drowzee may be based on ancient East Asian legends about dream eaters. 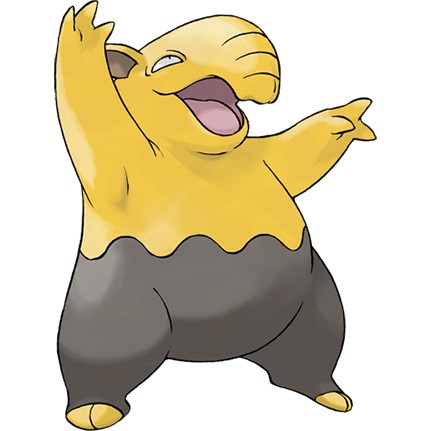 Drowzee resembles a Baku (spirit) that appears in Japanese mythology and art. The following is from the Pokémon FireRed description of Drowzee: “A descendant of the legendary animal Baku, which is said to eat dreams. 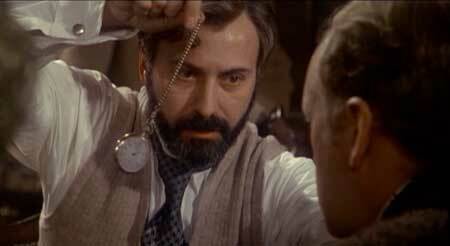 It is skilled at hypnotism.” “Baku” might be a fun nickname for males or females! Unfortunately, if I would allow Barbara to level up at 26, it would become a Hypno, and the name-resemblance to Barbara Streisand would no longer fit. 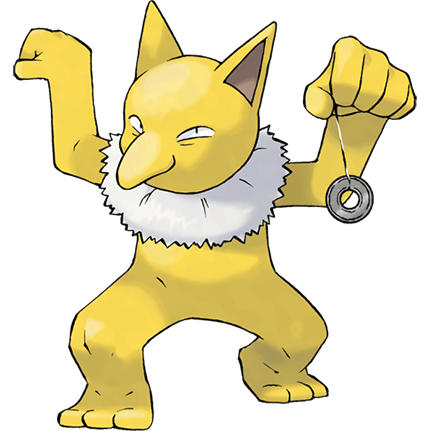 Hypno does not look female in any way, so allowing a female Drowzee to evolve does not fit if you gave it a female name. If your male Drowzee evolves into Hypno, name it “Sigmund” or “Freud” after the founding father of psychoanalysis with the Oedipus complex. Actually, “Oedipus” might be a good nickname. Maybe “Anna” after the good Doctor’s young daughter who often dreamed about cigars and bananas. Oh, it was just my writing. 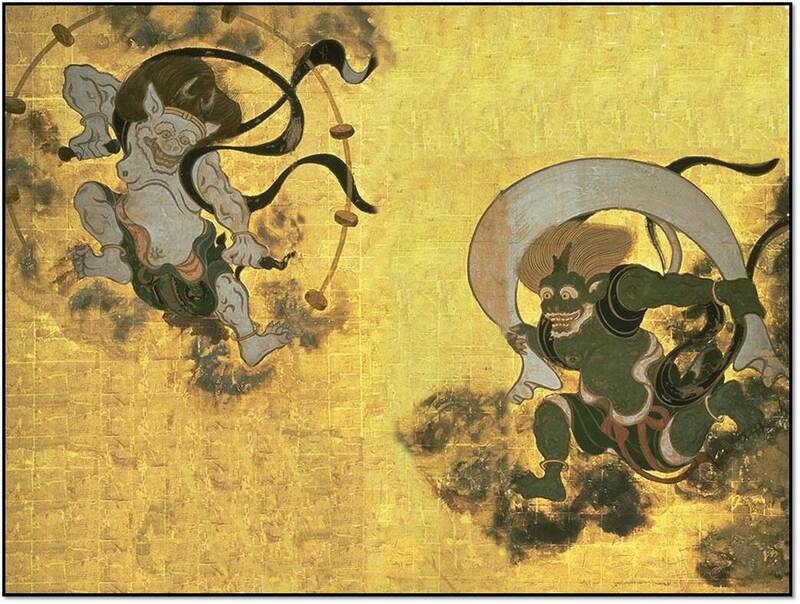 Raijin and Fūjin are Japanese legendary deities associated with Thunderstorms and Tornadoes. Raijin is the god of thunder and storms. According to Japanese mythology, he is usually depicted as beating on a drum to create thunder. It is said that he “will descend from the clouds and take children away”. 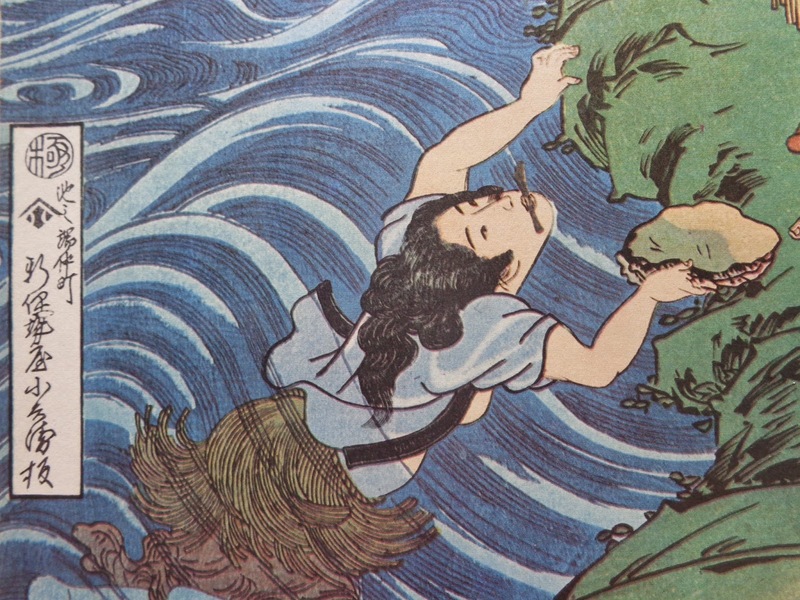 In Shinto legend, the tornado god Fūjin “was present at the birth of the world”, and “the winds that flew from his bag allowed the sun to shine”. He’s typically depicted as a demon with green skin. I found these images on Wikipedia while researching Japanese art. Click the thumbnail below to see the full mural by Japanese artist Tawaraya Sōtatsu. It makes a great computer wallpaper! Why would Raijin “take children away”? This is my reasoning: Japan does have a lot of steep topography. Thunderstorms may form suddenly. A sudden storm, with heavy rain and the resultant flash flood, could indeed sweep away children. It would not be surprising for this to become the stuff of legend. Also noticeable about Raijin is that “halo” around him with the round objects arranged in a circle. It reminds me of “frontal symbols” on weather maps. The most severe thunderstorms are indeed associated with the passage of weather fronts. Why would Fūjin be depicted as green? This one is tougher to argue. Japan is a verdant green country, and there is much paddy rice growing during summer when tornadoes are most frequent. Perhaps the “green skin” is the green debris caught up in the swirling vortex of tornado. Funnel clouds over rice fields would have a greenish hue to them. The “bag of wind’ carried by Fūjin could be the rotating bottom of the super-cell thunderstorm, from which tornadoes arise. There are likely Japanese cultural reasons why he “allows the sun to shine”, however I will defer to more knowledgeable scholars of Japanese culture than myself. It is also interesting that the Kanji symbols for thunderstorms and tornadoes resemble the deities as well as the atmospheric phenomena. The Thunderstorm symbols look like intense rain, and the down-strokes of this calligraphy may resemble lightning bolts. The Tornado symbols look like a funnel cloud, with a swirl at the base. The Kanji symbols also bear some resemblance to Thunderous and Tornadus — two legendary sky Pokémon from the Unova Region. 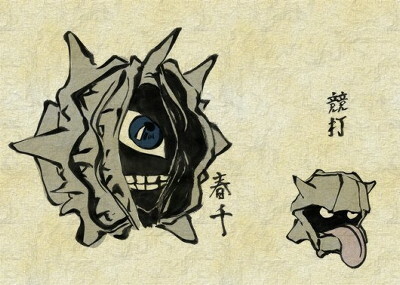 These Pokémon are based on the Raijin and Fūjin legends. It is interesting that sometimes Pokémon games incorporate aspects of Japanese art and culture. It would also be understandable if a player would nickname these Pokémon after the Japanese deities. I taught my Thunderous the moves “Thunderbolt” and “Volt Switch” and “Dark Pulse”. All moves one could associate with thunderstorms. 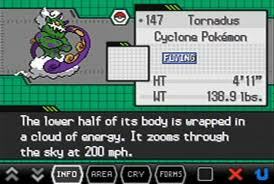 Register Tornadus in your Pokedex! 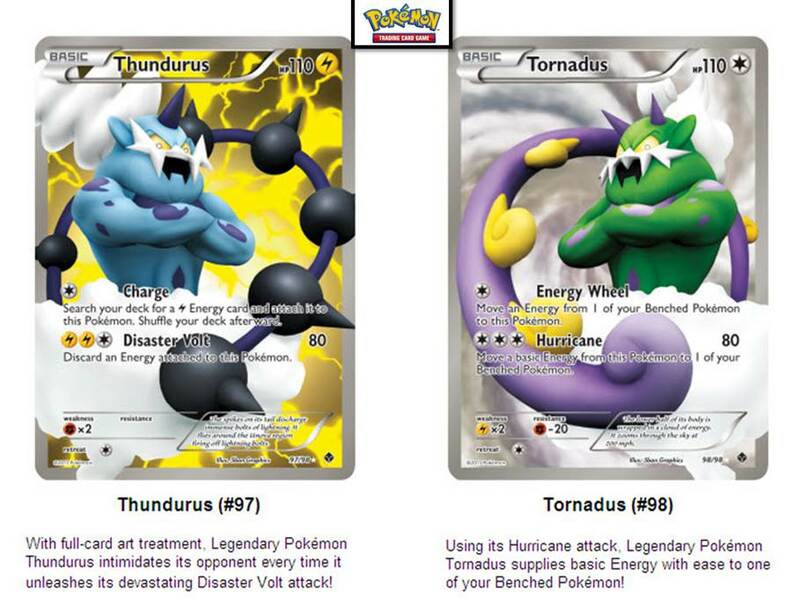 Oddly, Tornadus has the “Hurricane” move which does not look like a hurricane, in fact it looks like a group of tornadoes. Next time you play Pokémon Black-and White consider the moves and/or name changes! The name Fūjin also sounds like “Fujita” as in the late Theodore Fujita, who was THE expert on severe thunderstorms and tornadoes. The Enhanced Fujita Scale of tornadoes bears his name. 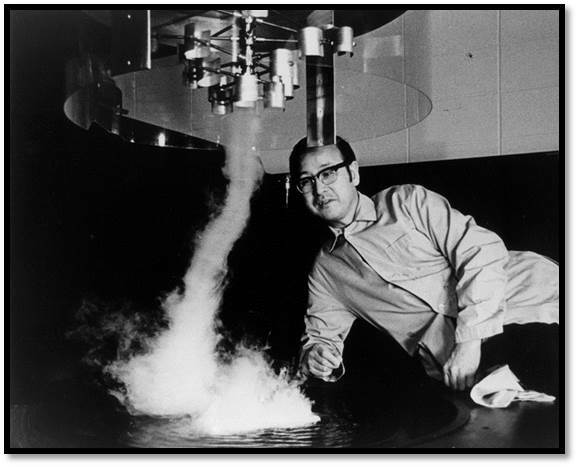 Professor Fujita in his lab. If you ever hear of an “F-5” tornado, the F is for Fujita !!! … or is it Fūjin?